Spring has sprung in Canada, which also means seasonal allergies are kicking in for unfortunate sufferers. Grass, trees and ragweed pollen are the top offenders for aggravating Canadians’ allergy symptoms, which begin with the first signs of spring. Recognize the signs of seasonal allergies, and learn how best to cope. 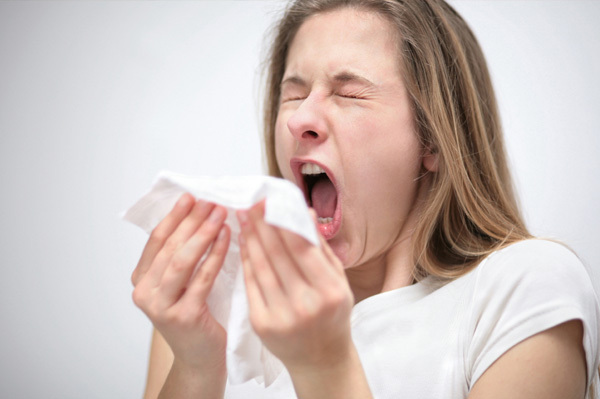 For allergy sufferers, the first buds on the trees may signal the onset of mild to severe symptoms of seasonal allergies, which, according to the Allergy Asthma Information Association, may include runny nose, watery eyes, itchiness and nasal congestion. Other symptoms can also include dark circles under the eyes, wheezing and coughing. Symptoms often lead to difficulty concentrating during the day and loss of sleep at night. Sufferers often use over-the-counter medications to battle these symptoms, but there are other advances and tips that can help to control and minimize allergy suffering. Seasonal allergies to trees, grass, ragweed, etc. can be confirmed through testing by an allergist. Some allergy sufferers turn to immunotherapy in an effort to break away from over-the-counter and prescription allergy medications. Though immunotherapy isn’t appropriate for everyone, those who are candidates for the procedure must be prepared to receive allergy shots once a week over an extended term. The injection dose is increased until a state of tolerance to the allergen is achieved. The patient will be observed following each injection and must follow specific instructions with regard to the six- to eight-hour period afterward, such as not taking hot baths. Allergy Canada notes that patients will receive the highest tolerated dose for three years in order for the treatment to be successful. As a result, the severity of the allergic disorder will be reduced, and quality of life improved. It will also save on medication costs over the long term. Allergy Canada recommends the use of products from PollenTEC to reduce the amount of pollen that enters the home. The company makes special window and door screens that prevent pollen from getting inside, as well as washable and reusable air filters that allergy sufferers can use in HVAC systems at home. To avoid bringing pollens into the house, be sure to remove exposed clothing after working or playing outside, launder them and take a shower. Realize that pets will also carry pollen into the house. If pets cannot be left outside, be sure to give them a bath, and consider excluding them from entering certain rooms of the house, such as the bedroom. Avoid letting pollen into the house via open windows. Take advantage of seasonal allergy levels posted online on sites such as The Weather Network to plan ahead, whether that means staying inside or taking medication ahead of time.